Using her own life as an example, Elisabeth Elliot guides singles of both genders and of any age on how to put their love lives under the authority of Jesus Christ. Passion and Purity covers dating issues such as: how to know which person is the right one to marry; loving passionately while remaining sexually pure; the man's and woman's role in relationships; putting God's desires ahead of personal desires; how far is too far, physically. 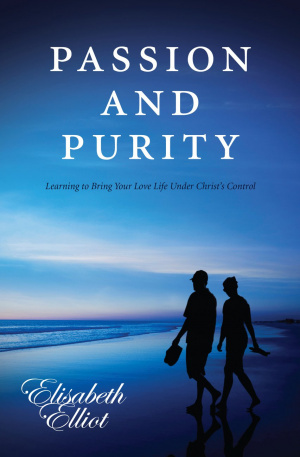 Passion And Purity by Elisabeth Elliot was published by Authentic in April 2011 and is our 15480th best seller. The ISBN for Passion And Purity is 9781850789321. Be the first to review Passion And Purity! Got a question? No problem! Just click here to ask us about Passion And Purity.